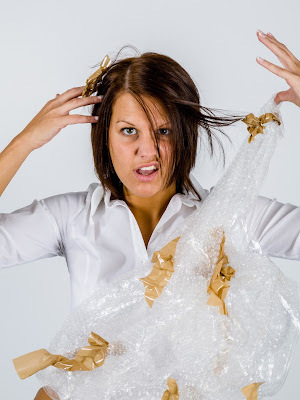 Writers can have a difficult time maintaining momentum. Many writers seem to write in fits and spurts. They may write consistently for a month or two, and then their inspiration towards their manuscripts seems to dwindle and they don’t get to their desks for weeks or months. It seems that something always gets in the way of their writing. Before we know it, months have gone by and we have not done any writing on our WIP. This is quite common for many beginning and intermediate writers. It is also common for writers who work full time and have so many other things to do every day such as family, kids, caring for parents, and other issues. There always seems to be something that bulldozes their intention to get to their desks to write. One of the most important things that we have to remember is that unless we get to our desks to write every day or most days, we won’t be as productive and therefore we won’t be successful in our writing careers. Not only that, but we will also be frustrated because we can’t seem to manage our writing life effectively. In what follows, I will offer you a few tips, that when followed will ensure that you keep your momentum on your writing project until it is complete. There is no more important piece advice that any writer can give another writer than to show up to your desk and actually do some writing every day. Think in terms of output rather than time–set your goal at one page a day instead of one hour a day. That way, you have concrete evidence of your progress. In order to create writing momentum, writers must make it a habit. Like any other learned skill, writing requires practice. We learn by doing. If we schedule our writing time–the way we would a piano lesson or a work-out at the gym–we’re giving our writing the priority it deserves. • Get up an hour early, set the coffee maker and get right to work. • Resist the urge to take a nap when you put the baby down. • Shut your office door and write through your lunch hour. • Decide that an hour of writing time is more important than an hour of television. Thinking is an important part of the writing process. If you’ve established your regular daily writing time, as we suggested above, make the most of that time by preparing yourself mentally beforehand. Start thinking about your manuscript a few hours before you sit down at your computer, so that you’re ready to write when you get to your desk. Even if you can’t set aside time to write every day, you should at least make thinking about writing a daily activity. By thinking about writing even when you aren’t doing it, you’ll make writing a natural and necessary part of your life. 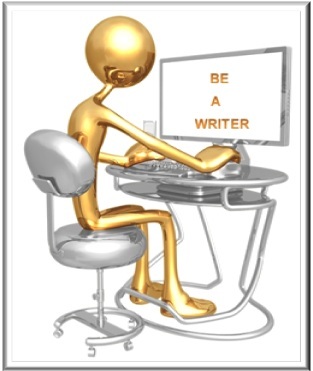 By taking these steps, you will be gaining momentum in your writing career. There is no better way to ensure that you develop the self-discipline to write and get to your desk regularly. Not only will you build self-confidence, but you will also build on your skills as a writer and get a lot of writing done. 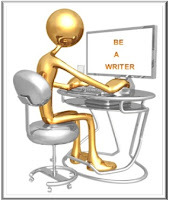 For a lot more tips on how to be a healthy writer, double click on this link: Healthy Writer. Irene S. Roth, MA writes for teens, tweens, and kids about self-empowerment. She is the author of over thirty books and over five hundred online articles. She also writes articles for kids, tweens and teens and her articles have appeared in Encounter, Pockets, Guardian Angel Kids Ezine, and Stories for Children Magazine and Online. She also has four hundred and sixty published book reviews both online and in print. Seconding Karen, here. Always thinking but...# A to Z Challenge this month and just writing a short blog post each day has speeded up and loosened my writing so the WIP is at last moving too.